The inspiration for Rainer Werner Fassbinder's epic film and that The Guardian named one of the "Top 100 Books of All Time," Berlin Alexanderplatz is considered one of the most important works of the Weimar Republic and twentieth century literature. 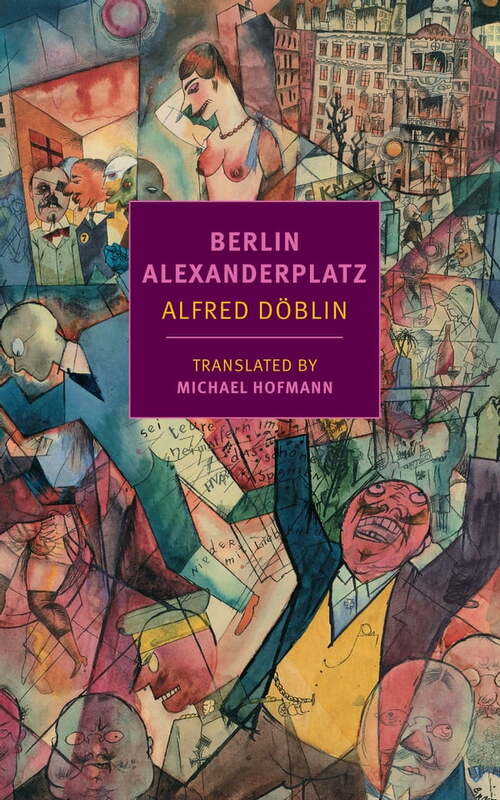 Berlin Alexanderplatz, the great novel of Berlin and the doomed Weimar Republic, is one of the great books of the twentieth century, gruesome, farcical, and appalling, word drunk, pitchdark. In Michael Hofmann's extraordinary new translation, Alfred Döblin's masterpiece lives in English for the first time. in Berlin, determined to go straight. set-to with an unpredictable external agency that looks an awful lot like fate. Three times the force attacks him and disrupts his scheme. The first time it comes at him with dishonesty and deception. Our man is able to get to his feet, he is still good to stand. Then it strikes him a low blow. He has trouble getting up from that, he is almost counted out. And finally it hits him with monstrous and extreme violence.